Available on DVD and Blu-ray™ June 4, 2013. 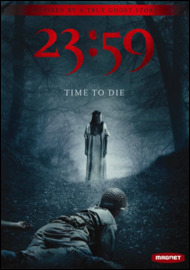 During a routine road march at an island military training camp, an army recruit is found dead at exactly 23:59. This mysterious and gruesome incident unearths a terrifying dark secret of the haunted island, forcing the recruits to confront their deepest fears in order to find the truth about their friend’s death.